I heard wonderful things about Bookishly Ever After back in January and requested it right away. I was excited about the potential that this book had. However, this book ended up disappointing me. 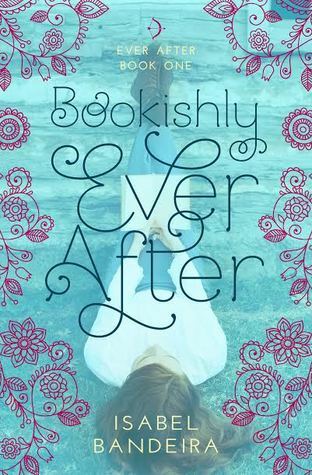 Bookishly Ever After is about a book obsessed teenage girl trying to navigate her first crush. Doesn’t that sound adorable? I thought so, too. Unforuntately, the book ended up dragging on. I started this book in January and didn’t finish it until July. It was just a little too easy for me to put the book down, and to be honest, I could have DNF-ed this book without a second thought. I decided to continue on though because I always feel terrible not finishing a book (especially one for review). I thought that Bookishly Ever After was cute but unnecessarily long. It could have easily been 100 pages shorter. The main character, Phoebe, tries to imitate her favorite book heroines in order to win over her crush. Throughout the book, there are excerpts and quotes from her favorite books. I thought this addition was fun at first, but I was tired of it by the end of the book. The romance was drawn out with unnecessary drama and miscommunications. I really do think Phoebe and Dev could have just talked and all would have been resolved faster. This is definitely a younger teen book, and I think others will enjoy it. However, it was just not for me. The immaturity was a little too much for me as that is not how I have ever been. Overall, Bookishly Ever After was a cute yet long, predictable, and somewhat annoying read. I just found out about a companion novel featuring Phoebe’s best friend, which I would be open to reading. I read this one too and totally agree with you on everything! I think I gave it 3 stars? The book was slow, and I really felt that Phoebe was naive at some parts. I wanted to shake her and tell her that when a guy goes out of his way to hang out with you, or when he buys you food, it usually means he likes you!! She was cute, but I think she could have been more open with Dev and they could have been together faster. Great review you wrote, Jordan!